"Actually, Easter IS about bunnies!" 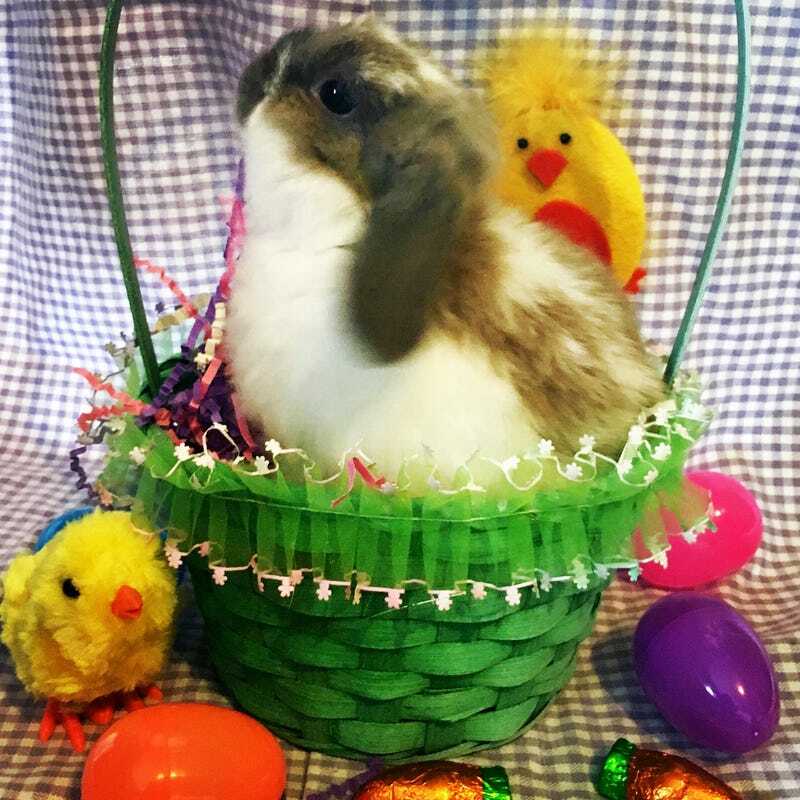 My little diva bunny, Emmett, was upset to see the posts on Facebook saying Easter was not about bunnies. He thinks it is his special day. I am being totally serious when I call him a diva. He has a big personality for a teeny bun. He’s so funny. I hope everyone is having a wonderful day! I’m sure your day is better than Pinky’s has been!